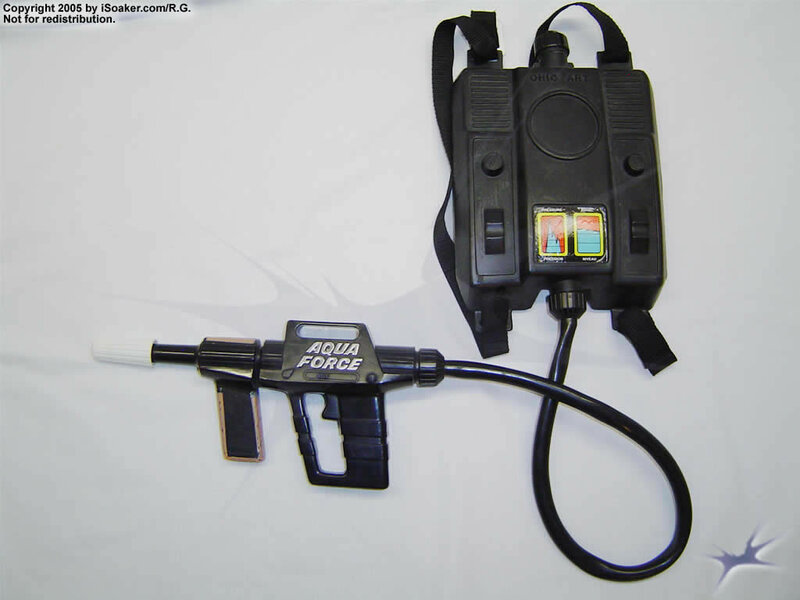 Aqua Force is a water gun with backpack released sometime in the 1980s by Ohio Art. For ita time, its 2L backpack reservoir offered unprecendented capacity, allowing the use to last a long time on the water war field. The pump action blaster offered decent power and range, but its performance did depend on the user. While the blaster available for review is functional, due to age and extensive use, it no longer performs as well as it once did, thus has not been reviewed in its entirety. Great capacity for its output, majority of weight on the back and shoulders, decent power for its size. Limited output due to the piston nature of the blaster.